"This money could have been spent on lino!" I know such luxury isn't the Holy Father's thing - for His Holiness is the People's Pope of the Poor TM - but I thought it would go nicely with the marble of the Domus Sanctae Marthae for the Papal Lavatory. 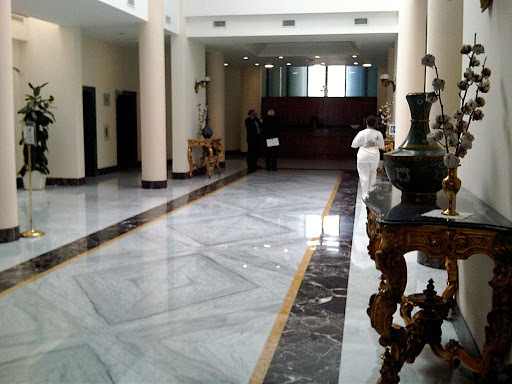 I assume the toilet is marble as well, though its hard to tell, what with never having booked a room at the Domus. Already concerned, without having even read this blogpost, Greg Burke has issued a picture of Pope Francis's toilet brush and holder just in case anyone should get the wrong idea. Aside from that, perhaps something for one of the Cardinals of bling, such as Cardinal Reinhard Marx in Germany not to be confused with the 'ugly duckling' bishop 'of bling' the rest of the German Bishops Conference detested and had sacked for wasting money like they do. Only a Bishops Conference with an income of £4.6 billion a year could possibly countenance such a pointlessly luxurious item when such utilities can be purchased cheaply at the German equivalent of Argos. 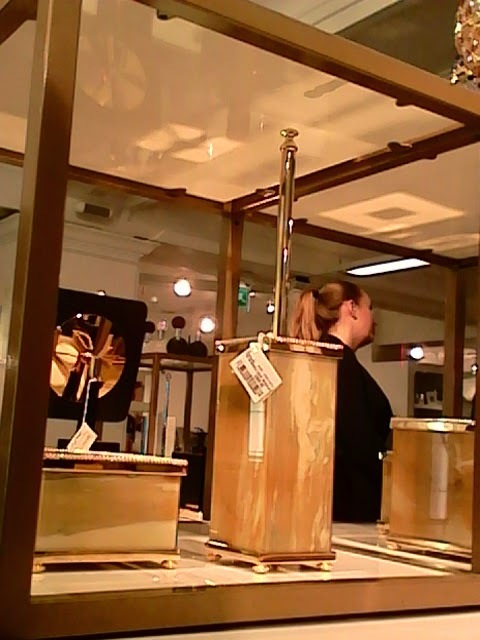 I must say though that the idea of someone spending £900 on a gold toilet brush and marble holder is a bit gross given that a man with only one leg begs outside Harrods who probably doesn't even have a lavatory. Would Harrods even let him inside to use the loo? It all makes one feel very Franciscan ("I thank you O Lord, that I don't have £900 to blow on a luxury lavatory item") on the inside to the point that you feel the need to find out the retail price of the toilet brushes of those in authority, especially in the Church. Are any Catholic prelates owners of a £900 marble and gold toilet brush and holder? "The Harrods toilet brush and holder is only brought out for royalty"
In a much overlooked u-bend from his new book, Austen Ivereigh alleges that Cardinal Cormac Murphy O'Connor, as part of "Team Bergoglio" purchased a gold and marble toilet brush and holder in the run up to the election of his man, Cardinal Jorge Bergoglio. In a hastily written media response, his press secretary strongly denied the allegation, maintaining that the luxury item is only brought out when nobility and/or royalty visit him. In a week during which the scourge of Italian Freemasonry has once again been the focus of one Catholic blogger, I've been handed yet further evidence of a secretive masonic sect within the walls of the Vatican, as demonstrated by this image of the 'all seeing eye' toilet brush. God bless readers and hope your Christmas celebrations are going well and that they contain a strong and lively element of partying. It is amazing how some people spend such ludicrous amounts of money on a toilet brush, but then I suppose that a £900 toilet brush isn't the kind you would replace after a year or two. I suppose it would make a nice gift for someone. I mean, nothing says, 'I love you' quite like a box of Ferrero Rocher and a gold and marble toilet brush and holder, does it? Such a generous gift would almost beg the response, "Oh, thanks! I love Ferrero Rocher!" I have a little time over the Christmas holiday and so might take out a couple of hours from the raucous celebrations (yes, that's right, I'm in on my own tonight) to update the Pope Francis Bumper Book of Insults, because 'little' it no longer is. Pray for me...I have to work all the way back to April...and papal homilies make me feel very guilty and depressed. I offer up these feelings of uselessness and unworthiness for His Holiness's clinically depressed workforce in Rome. Wonderful post - laughed so much it reminded me of the Norman Wisdom film 'Trouble in Store' - though I don't remember anything about loo brushes in that and I don't think the store was Harrods, but it was definitely high-brow! This is quite an old film, but I have recently been playing catch-up and really enjoyed watching the video! Of course those with £900 toilet brushes would never have to see one, never mind use it! Come to think of it, these ones are probably not meant to be used (the cheap plastic one does the job), but rather for reasons of aesthetics beyond our understanding. I find it sad that the traditional Papal toilet brush with a red handle has been cast aside and left in the Vatican Museums whilst the Pope has ordered his very own humble toilet brush spending money that could have been given to the poor. I laughed so hard, I thought I was reading Eccles. He said he wants a church that is dirty. He doesn't need a toilet brush---just his hands, a rag and a cleaning solution. What is sad is that firms are manufacturing this stuff knowing that there will be customers out there who will buy it. Those who have so much money they don't know what to spend it on next. I have only attempted to go into Harrods once. However I got stopped at the door as I had a small knapsack on my back and these it appears are not allowed. For all they knew I could have been a customer for one of their exotic lavatory brushes! Thanks Bones for making me laugh, the S.Marta luxury hotel costed more than 20 mln.dollars and to be frank I don't find it poor' apartement for a church that has many and many mln.euros in variuos banks, safe in good friends' hands, notwithstanding the banana peel, none of them slipped, they're still there.....times are a changing, I don't believe, it's only show. Happy new year. God bless+.